The Health Lottery is delighted to have crowned its first quarter-millionaire, after retired police officer Mick Aston’s ticket was drawn in the Mega Raffle on September 1st. 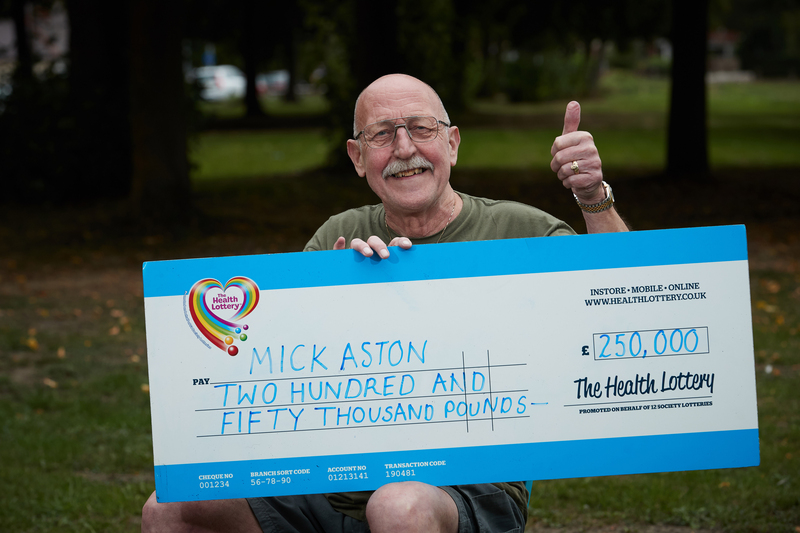 Wakefield resident Mick, 70, was in “total shock” to discover he had won £250,000! To date, this is The Health Lottery’s biggest ever prize to one player. Mick’s wife sadly passed away a few years ago and, with no children of his own, he plans to buy a new accessible home with his winnings. Mick has been a regular Health Lottery player since July 2017, and tells us that he will continue playing. “I know it supports lots of good causes over the UK, including my local area, and that is really great,” he says. We wish Mick our warmest congratulations, and hope he enjoys his new home. The Mega Raffle will henceforth be drawn once a month. Our next Mega Raffle takes place on October 1st 2018. To enter, you must purchase a Health Lottery ticket for a September draw before 7:45pm on Saturday 29th September. 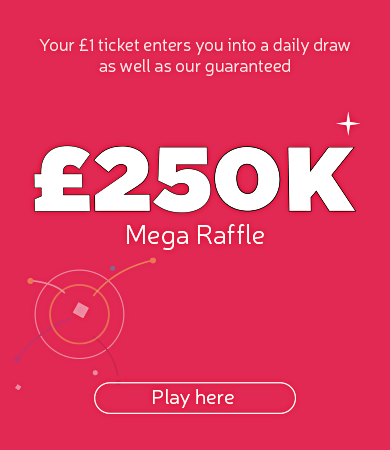 Each ticket will earn one automatic entry into this Mega Raffle. We’re looking forward to discovering our next quarter-millionaire: Mick is the first of many!